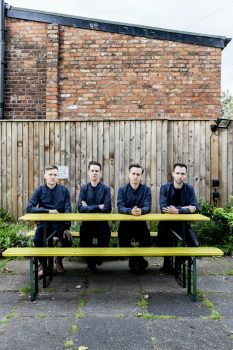 This year marks Dutch Uncles’ ninth as a band, which almost nestles them into the category of indie stalwarts, although they have the energy and enthusiasm of a teenage garage band just starting out and who don’t know any better. Singer Duncan Wallis’ charming and charismatic presence at centre stage is a settling and comforting energy. Comfort is the appropriate word for this evening; something that Wallis observes about tonight’s audience, for tonight is a seated gig. This strikes me as a strange move for a band with such aforementioned energy and songs to match – it almost feels like going against one’s instinct, yet here we are: warm, comfortable…seated. The mood isn’t helped by the equally warm beer either. However this is a hometown gig for them and I feel like I’m in the minority amongst the excitable crowd. So nine years and five albums later, tonight is the last night of touring their latest LP, Big Balloon. This album marks a departure for the band in more ways than one: guitarist Daniel Spedding left the band in 2015, so ironically, but true to Dutch Uncles’ unpredictable form, this is the most guitar-influenced album to date. We’re made to wait a few songs before anything from the album surfaces. It eventually does with the Talking Heads influenced fun-house ‘Hiccup’. Dutch Uncles have always had a knack for disguising lyrical content in their songs, and it’s only thanks to Wallis’ comments in between that we get any insight, as he does have a tendency to be drowned out by the busy band around him. I’m surprised to learn that ‘Threads’ is about a wanking ghost. This may well be joke, but I’m going to at least pretend that it’s not. The subject matter on Big Balloon is of a more political stance than spooky self-pleasure: ‘Same Plane Dream’, for example, reflects on the Tory government’s cuts to disability benefits, with Wallis repeating “I can’t give up”. The toe-tapping from the seats is kept at a maximum, mainly driven by Robin Richards’ pulsating basslines throughout. The overall sound of the night feels like a soundtrack to a classic eighties movie crossed with Sonic the Hedgehog. Intensity is kept sky high during ‘Streetlight’, and during ‘Oh Yeah’ most people have had enough of comfort and rise from their seats in delirium, hoping to emulate Wallis’ energetic and impressive dance moves, even if he looks like Ian Curtis doing an impression of Michael Jackson. The synth-heavy old favourites like ‘Flexxin’ and ‘Upsilon’ hold up well alongside the cuts from Big Balloon. They add to the already dynamic set list, which is perhaps a little too dynamic, if there is such a thing. Where it feels like a chorus should be, a strange instrumental interlude lies. 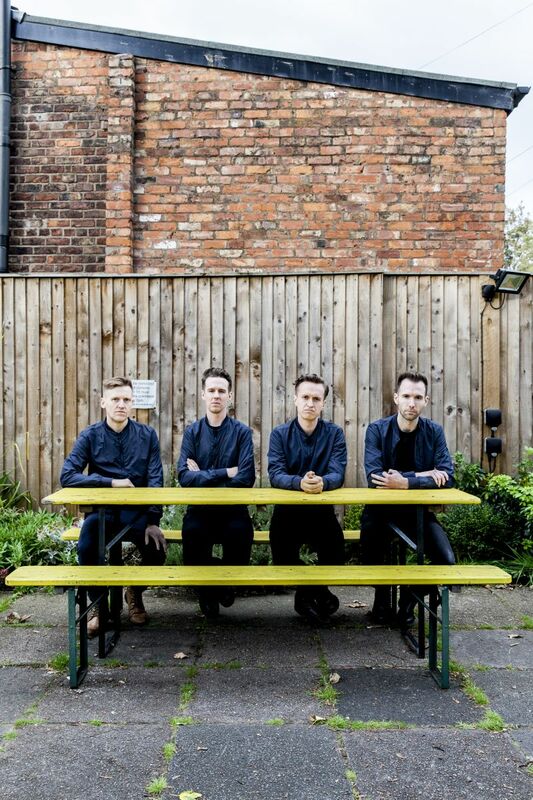 Dutch Uncles are a band who will always keep you guessing. Maybe this is the reason that the mainstream will always be just out of their reach; the masses want what they already know. Far from giving the people what they want, perhaps it’s respect that they want. It’s certainly no less than what they deserve; the greatest respect for one of the finest bands of recent years. forever a student of music. Been in bands. Regularly attends gigs in Manchester's more intimate venues. Lazy blogger.